How long have you worked for Paragon Studios? Can you describe what a typical day in Paragon Studios? On a typical day, we work on completing various client projects and developing new techniques to improve our workflows. We speak to clients regularly by phone and email during every project. Communication is vital to completing our projects successfully and meeting our client’s requirements. Whenever there is time in between projects, we will typically carry out further research and development into new technologies (for example Virtual Reality) as it is vital to keep up with the latest trends. This research allows us to provide our clients with a creative advantage by delivering innovative solutions for their projects. What has your team’s proudest accomplishment while working at Paragon Studios? As a team we are proud to have grown into a well recognised studio, working internationally with a variety of both large and small projects throughout the UK, Europe, Middle East and the USA. We are very conscious of meeting our clients deadlines and are delighted to continue to receive very positive feedback on all the projects we’ve delivered. Can you tell us about your clients and their projects? We work for a range of distinguished clients such as developers, architects and contractors all over the UK. Our studio is based in Liverpool, and as a team, we all work closely together to deliver each project. We are also focused on continuously helping each other and sharing our skills to complete our tasks more efficiently. Having joined the studio as a graduate, the knowledge and support I have received from my colleagues has been invaluable. Each day in the studio is different, depending on the projects that we’re working on. Typically, we will spend most of the day working in 3D Studio Max and V-Ray. This allows us to build our scenes in 3D and create test renders based on client’s requests. We also spend a lot of time using Adobe Creative Suite, depending on the project requirements. Paragon Studios has a great reputation for CGI, is that something you have particular expertise around and can you tell us more about it? One of the studios great strengths is that each member has a different educational background. For example, I completed a master’s degree in Games Design at Sheffield Hallam University before coming to work for Paragon Studios, whilst my colleagues come from Architecture and Engineering master’s degrees. However, we all share the same passion for architectural visualisation and bring our own set of unique skills to the team. My expertise is integrating gaming technology with architectural visualisation. This is a powerful tool for clients to self-navigate and visualise their projects in a real time walkthrough. Sharing our knowledge and experience between us has helped us all to become more proficient in each of the services that we provide. What has been the most interesting job that you have worked on during your time with Paragon Studios? 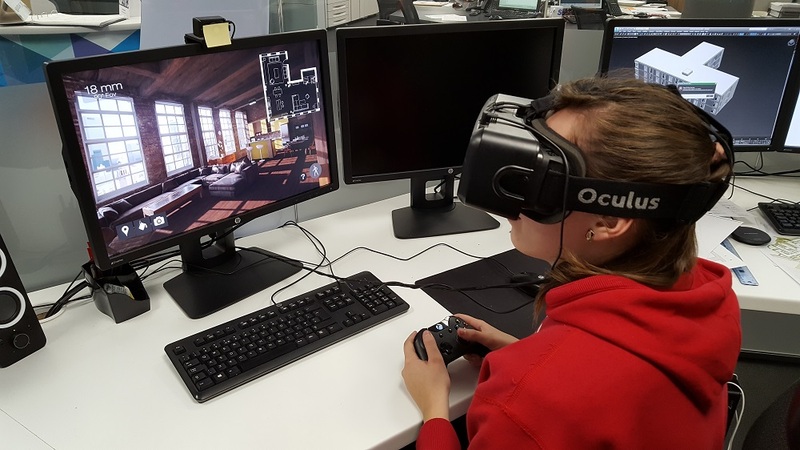 One of the biggest projects I had the pleasure to work on was a virtual reality tour for a client who was launching a new range of luxury nursing and dementia care homes and senior villages. We were tasked with creating a wide range of 360 degree images for a variety of spaces, including bedrooms, lounges, cafés, cinemas, spas, and more. These were brought together in a virtual tour and embedded on the client’s website to help market their homes to potential residents while it was still being built.